You can read the full piece here. It is too early to say what this will mean, in practice, but I think it is worth noting the timing of this “finding” by the IDF. 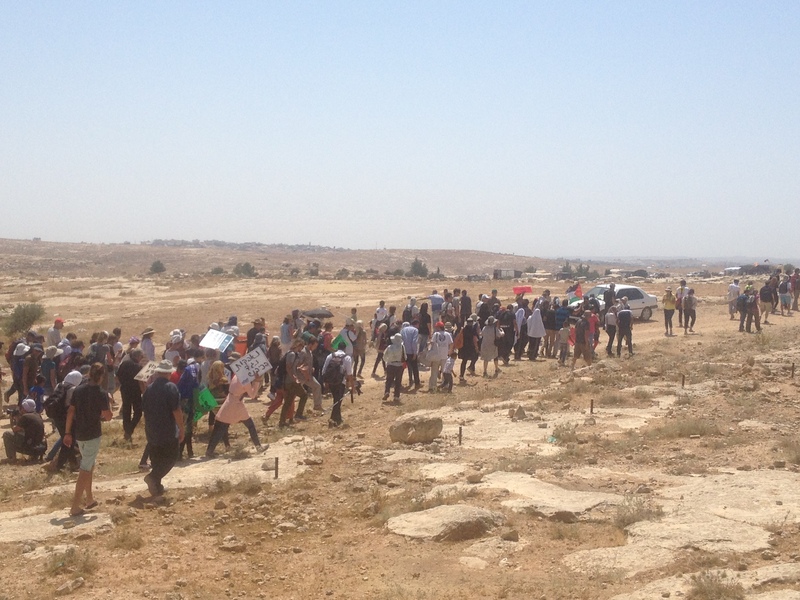 -A 600 person demonstration in Susiya this past Friday. 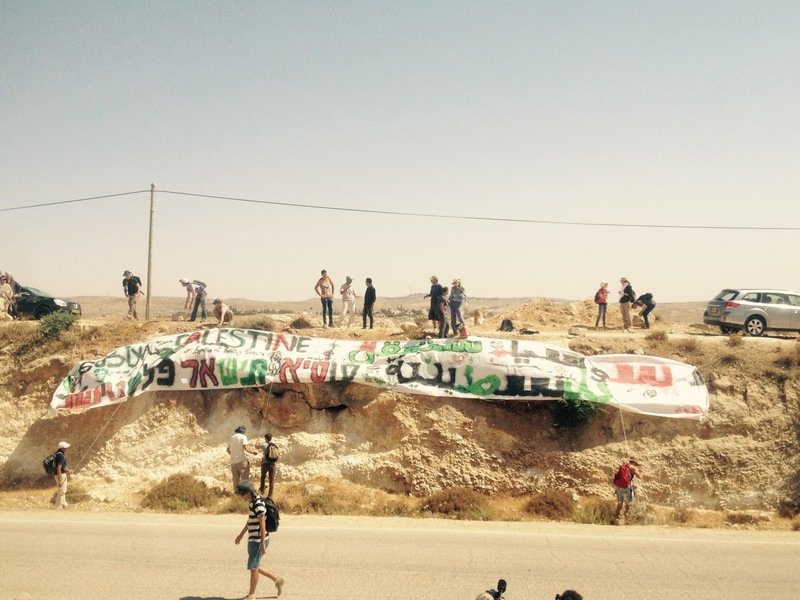 -Statements against in the planned demolition by the US State Department and European Union. 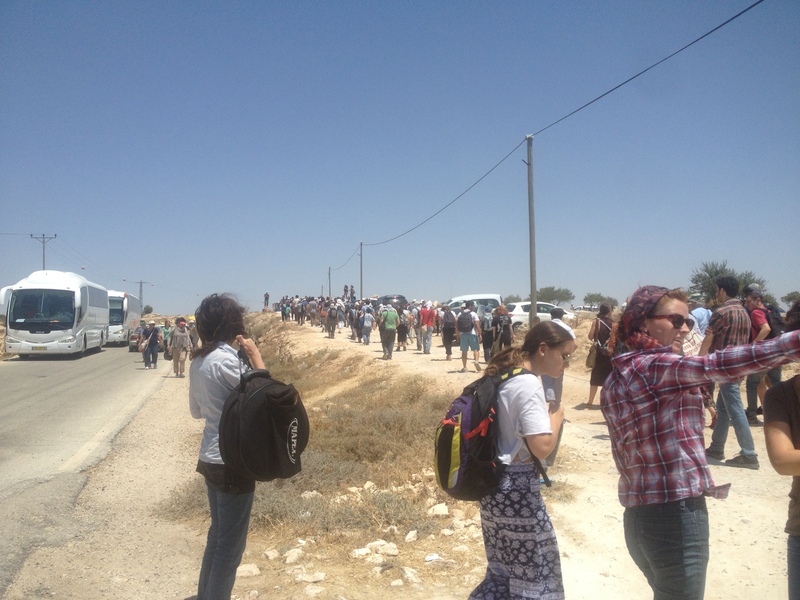 -Media coverage of the case in The New York Times (including an Op Ed by Nasser Nawaja in The New York Times), CNN, the BBC, Haaretz, Al Jazeera, and more; and countless blog updates and Twitter storms and Facebook posts, etc. 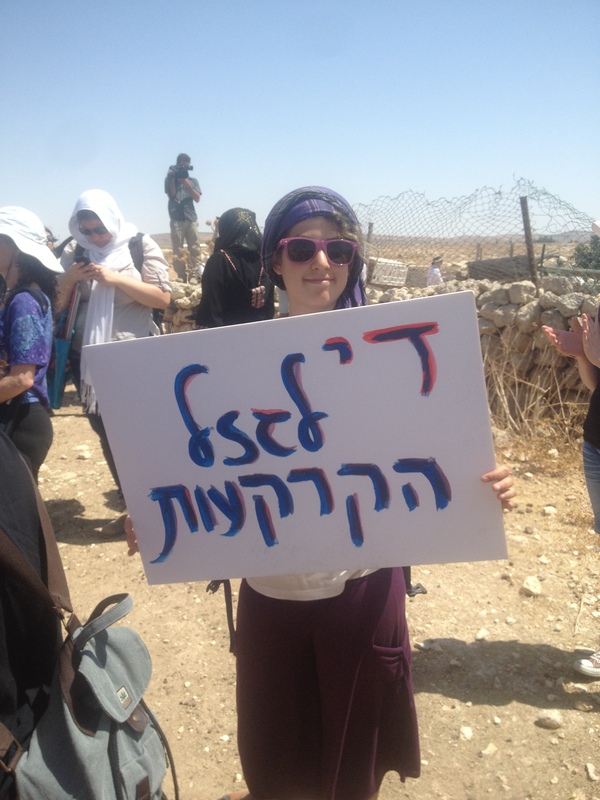 -Tireless work by NGOs and organizations and groups including (but not limited to) Rabbis for Human Rights, BTselem, Taayush, Breaking the Silence, The Popular Struggle Coordinating Committee, Free Jerusalem, All That’s Left, Bimkom, Jewish Voice for Peace and more (Note: These are links to each group’s Susiya-specific actions). 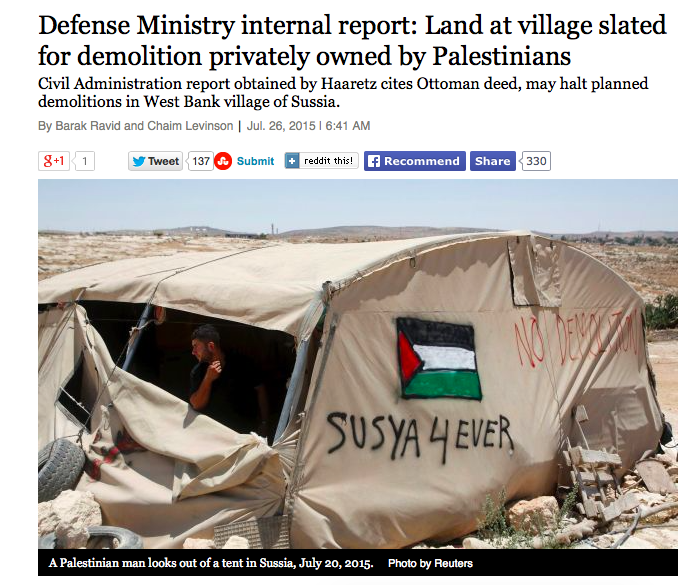 Maybe the IDF’s “finding” (now- will everyone who claimed that ”Susiya doesn’t exist” acknowledge that they were wrong?) had nothing to do with all of those things, and the timing was just a coincidence. Regardless, the campaign must — and will — continue, and keep growing. 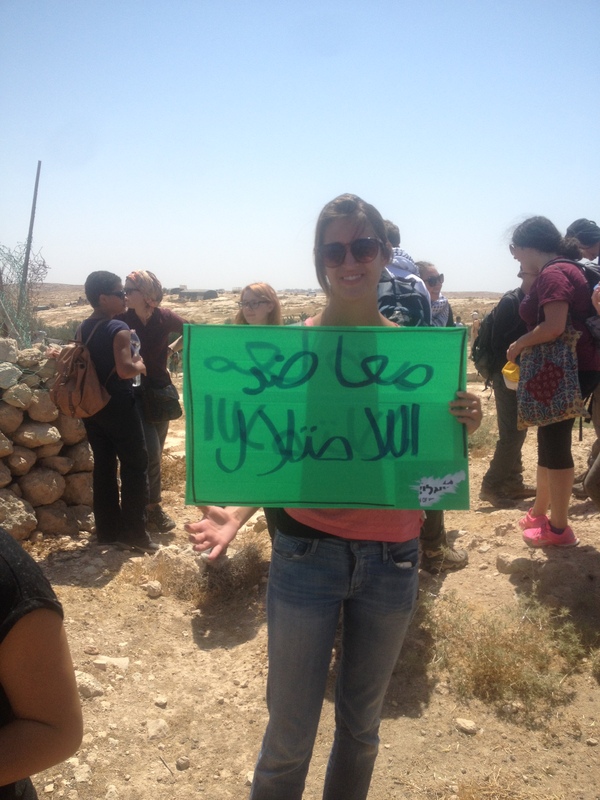 #SaveSusiya. Onwards. 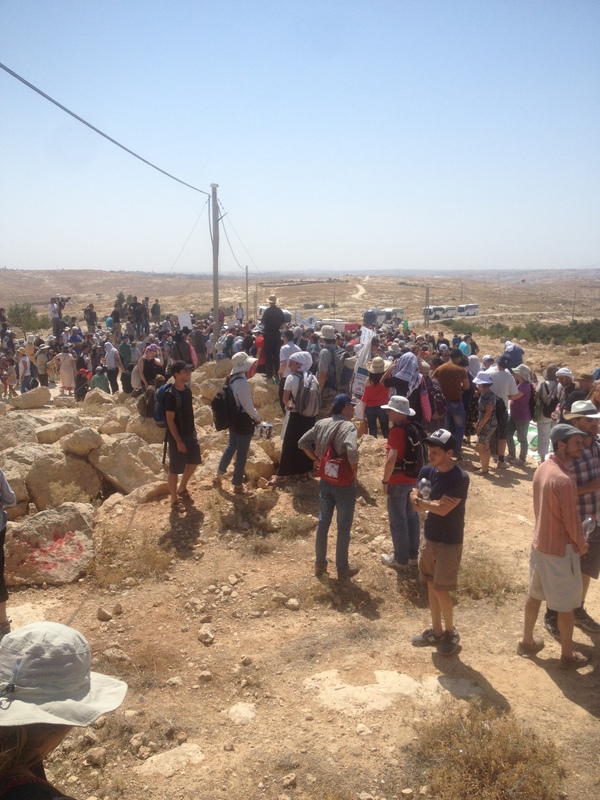 There was a short march, in the direction of Old Susiya, that was entirely peaceful. 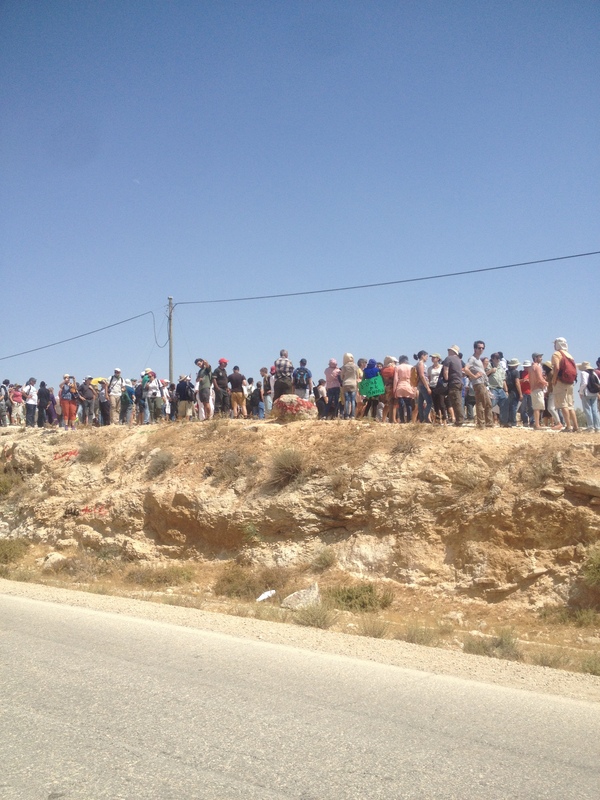 The crowd then gathered near Susiya to hear a number of speeches and greetings. 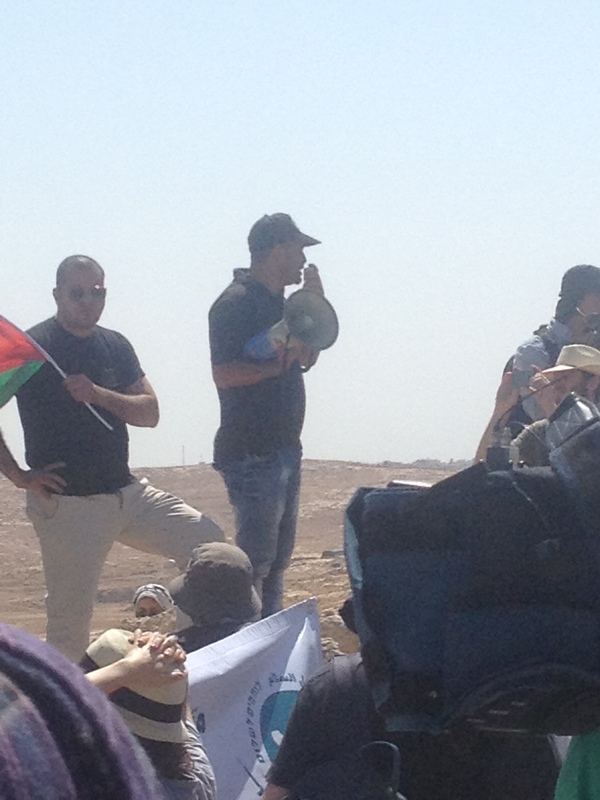 Nasser Nawaja, a resident of Susiya and community organizer there, os one of those to address the crowd. The demonstration wrapped up in the early afternoon, under a 100 degree desert sun.